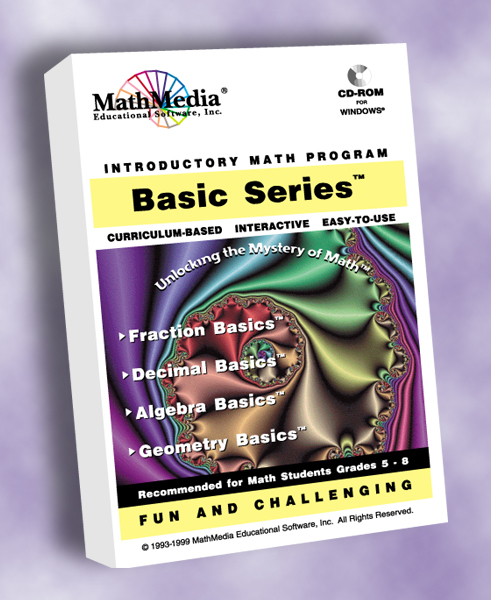 The Basic Math Series is our best seller -- it covers the basic math that EVERYONE studies, prepares older students for college entrance exams, and is used in adult education for those who have forgotten or never learned the basics. This series contains five stand-alone products which retail at $39 each. The retail price for the 5-program set, the Basic Math Series, is $159. By purchasing five copies of the Basic Math Series, the retailer enjoys a 50% discount. For detailed descriptions of the contents of the Basic Math Series, click on the left menu bar.